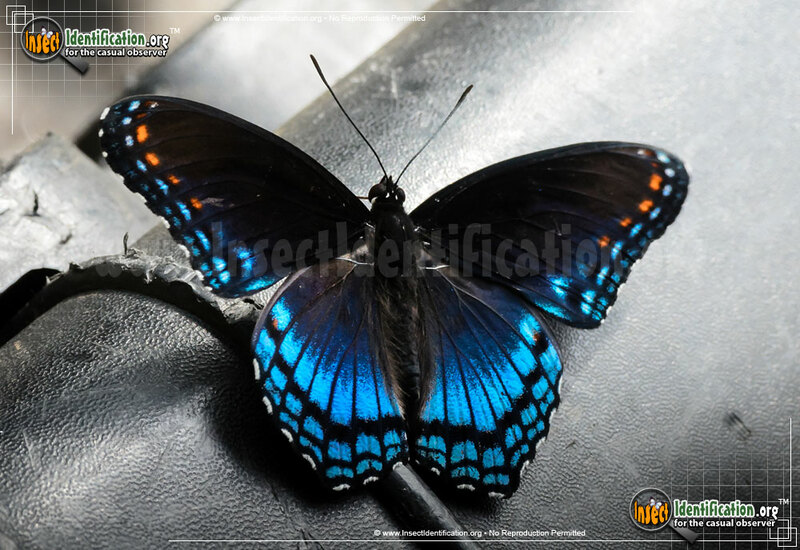 Detailing the physical features, habits, territorial reach and other identifying qualities of the Red-spotted Purple Admiral. 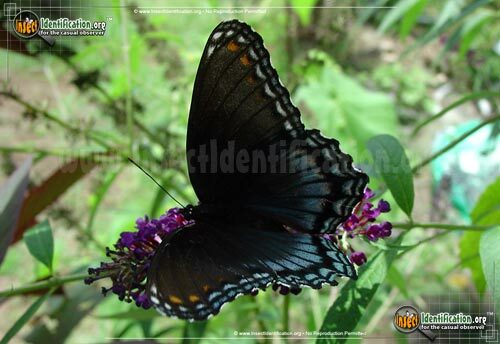 The large size and iridescent blue on the bottom of its wings are just similar enough for the Red-spotted Purple Admiral butterfly to be considered undesirable among predators. 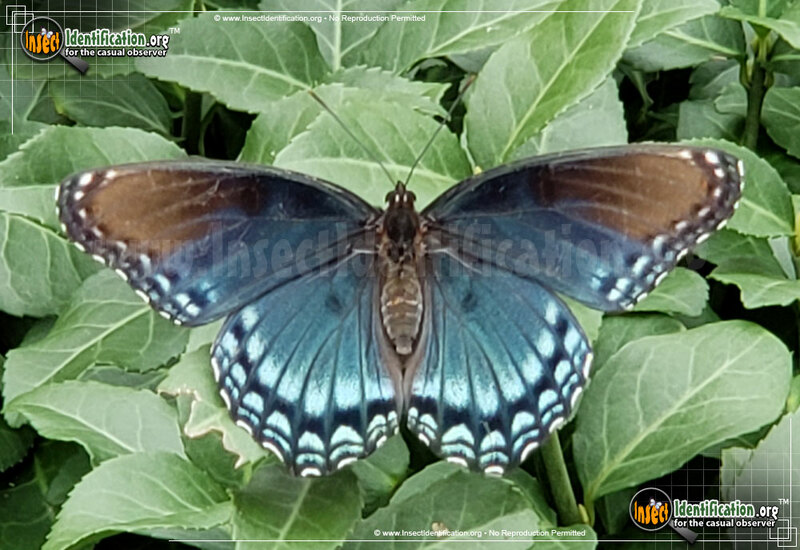 Though the Red-spotted Purple Admiral lacks the tails of the Pipevine Swallowtail, it resembles it enough in size and coloring to benefit from mimicking it. The Pipevine Swallowtail deters predators from eating it by tasting awful. Though some Pipevines are killed in teaching animals this lesson, many others are spared once animals learn to avoid them. The Red-spotted Purple Admiral may see predator avoidance because it looks so much like the distasteful Pipevine Swallowtail. 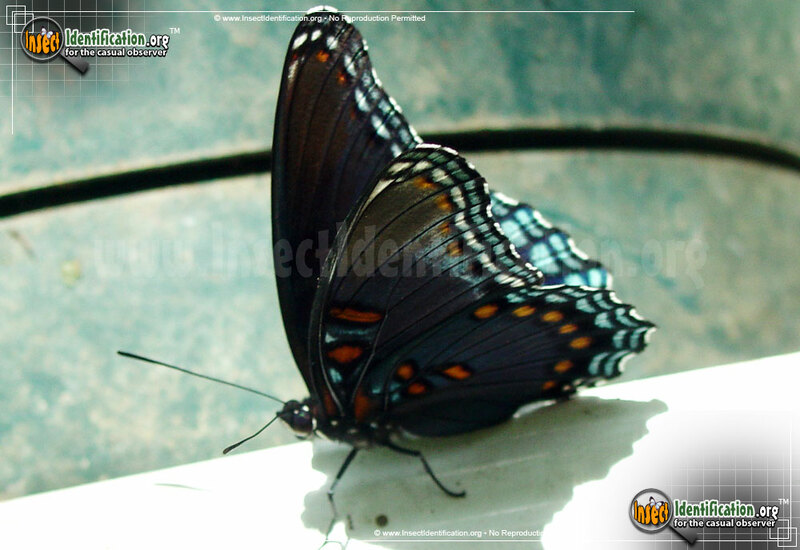 Research shows that it sometimes breeds with Viceroy butterflies. 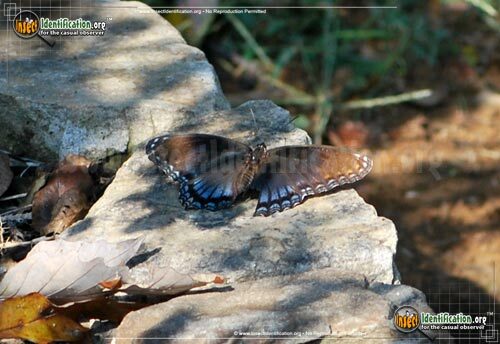 Look for Red-spotted Purple Admiral butterflies from spring through autumn. 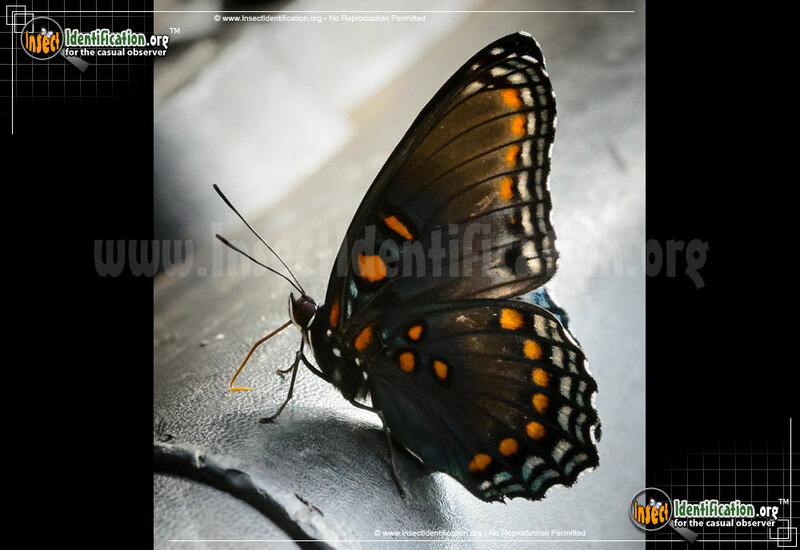 Adult butterflies drink nectar from flowers, water from puddles, tree sap, and juices from rotting fruits. 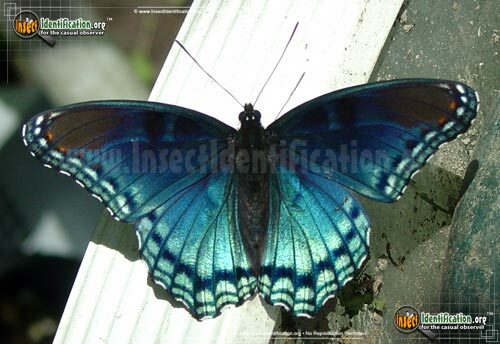 They are likely to be found on or near host plants for their caterpillars. 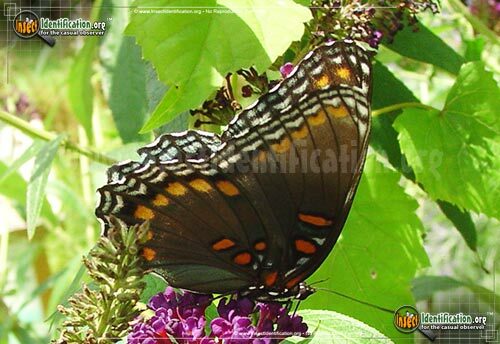 Caterpillars eat the leaves of willow trees as well as poplar, cottonwood, deerberry, and black cherry. 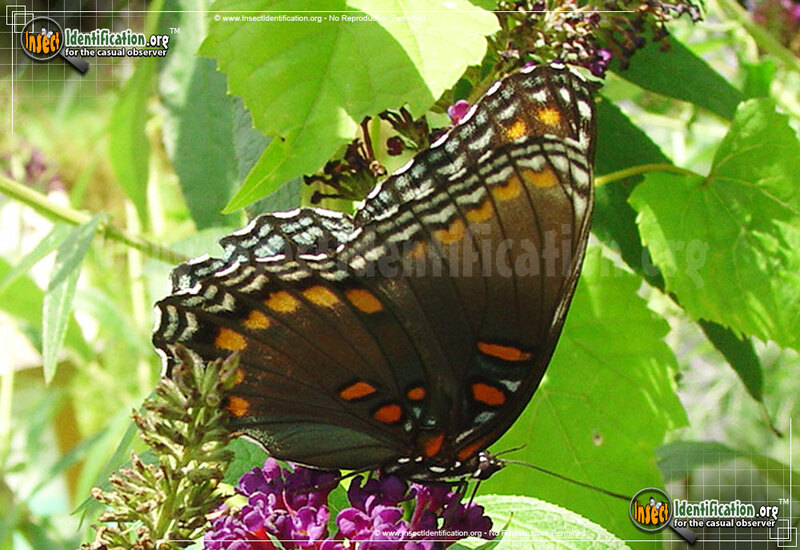 White eggs resembling tiny spiky golf balls are laid at the edges of leaves and the caterpillars eat away at the soft parts of the leaf once they hatch. The caterpillar resembles bird droppings. 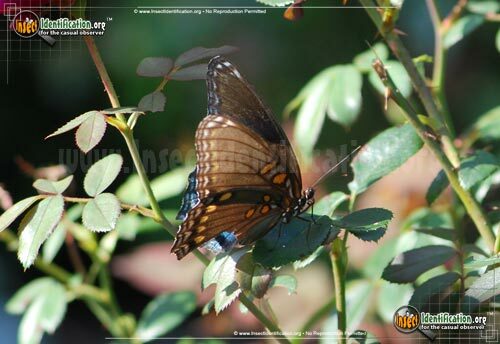 It is white and green with two yellow bumps near the head and two smaller yellow humps near its rear. When ready to pupate, it uses its own feces to attach its cocoon to rib of a chewed leaf. 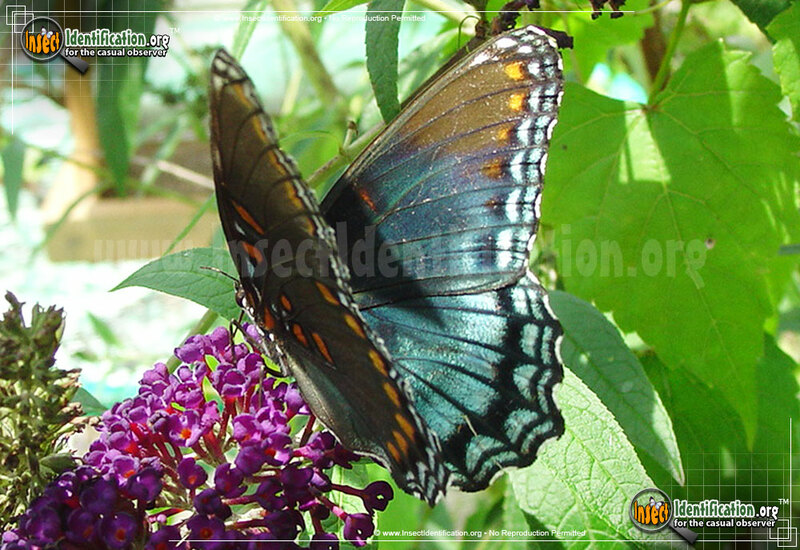 Depending on the latitude, Red-spotted Purple Admirals can produce two to three broods a year.